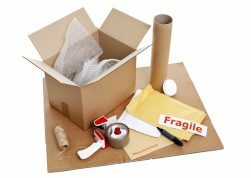 How To Pack For a Move - MoveStar Inc.
Finding a new home is exciting. 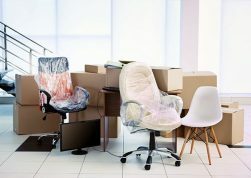 Getting ready to leave your old home is, well, not… Simplify the moving process with MoveStar’s tips for packing-up. Categorize your house items into “Keep”, “Throw” and “Donate” type. Keep only those clothes which are in good condition or which you want to keep with. The closet is a great place to start — if you haven’t worn something in 12 months, it’s gotta go. No exceptions (sorry, pack rats).Donate your old clothes, toys, mattress, etc. to charity and pack up with you only those things which you actually want and not all the junk. Once you’ve shed the excess, give everything in the house a good cleaning. Trust us, you’ll be glad to unpack dust-free items after the move. Simplify the process by making a packing plan and sticking to the schedule. Plan to commit to packing up one whole room every 2 to 3 days. Have less time? Get some pizza and wine and host a moving party for your friends. Find a consistent, out-of-the-way place to keep the taped-up boxes for each room, whether it’s stacked up in the corner of each room, in the basement, or, in an office or guest room. Mark the boxes when you are packing up the items room by room. This will help you to keep track of what is in each box. Let the movers put the boxes in their assigned rooms. You can also use different colored markers to name the boxes. It can also be useful to compose a list of what’s inside in each box. Sometimes it’s worth the extra charge to let your moving company put the finishing touches on your packing job. They can do things like wrap up bulky furniture, pack your flat-screen TV, and find a way to transport your framed pictures on your wall. Need help packing, moving, or cleaning up after your move? Contact us here at Movestar. We handle every step of the moving process, as little or as much as you need. Get your new space cleaner, quicker – and start enjoying life after your move right away.